For much of the past week and a half, the Orioles have done nearly everything right. 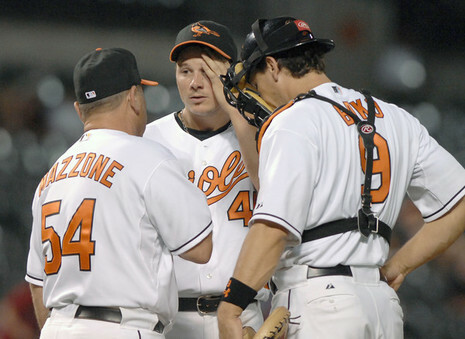 But in a frantic ninth inning last night at Camden Yards, when it again looked like the home team would find a way to win, everything went horribly wrong. After Jay Payton walked and Corey Patterson doubled to start the ninth inning, the Orioles were poised to rally and tie the game. Brian Roberts' single drove in one run, but Patterson hesitated to leave second and didn't score. After Melvin Mora's unsuccessful bunt attempt and Nick Markakis' intentional walk, Miguel Tejada grounded out on the first pitch, ending the game.